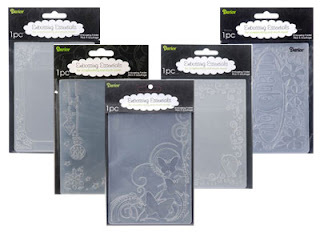 Have you seen the brand new embossing folders by Darice that are available to buy over on the Crafter’s Companion site? They are simply gorgeous and best of all they are only £3.99 each!! There are lots of different designs to choose from and look fantastic when used with the Core’dinations cardstock ranges. Team them both together and see for yourself the results – you’ll be amazed!